Anger Management: From Primitive Force To Powerful Tool. 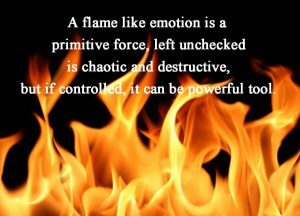 A flame like emotion is a primitive force, left unchecked is chaotic and destructive, but if controlled, it can be powerful tool. 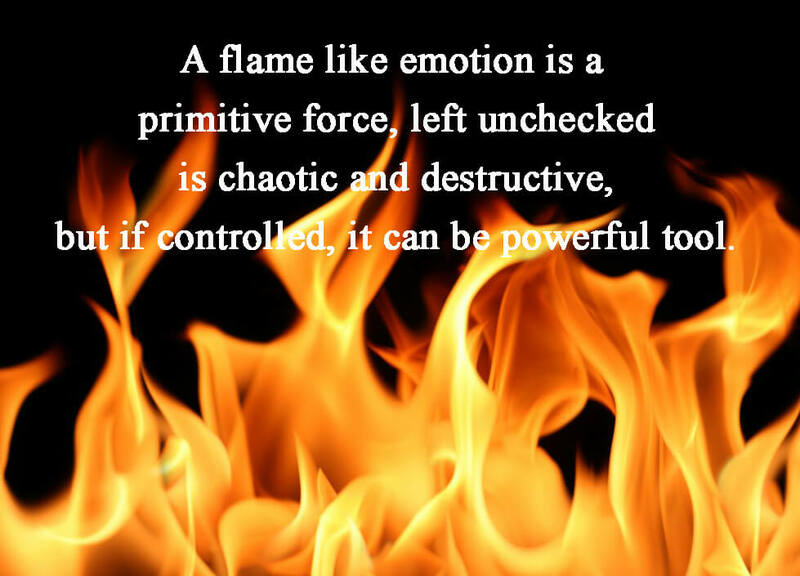 Like the lamp that controls the flame, our brain can control our emotions, and we as human can learn to manage our emotions in a constructive manner. In the past (as a child), your anger was a source of strength and at time gave you courage while it protected you. It serves you as a “survival mechanism.” But, now, as an adult if you realize that you are not in this a survival situation, you can build a better mechanism to protect yourself and use the emotions as a signal and indicator to your status. When you pay attention to this signal (the emotion) try stay with it and not to react to it. Then, you can slowly figure out what this signal means and what is your need. Once you realize your need, think and find a constructive way to express your need in a respectful assertive manner. It is important to note that expressing your needs does not necessary leads to fulfilling your needs. In this regards, one has to know what is within his power and what is beyond his power. All one can do it to do his best (with in his power) to get what he needs, yet accept what is beyond his power and accept it. If you would like to attend anger management classes or anger counseling, or overcome anger and aggression, please visit my website. Thank you.